Thank you all for your continued support of the PAWS Thrift Store! 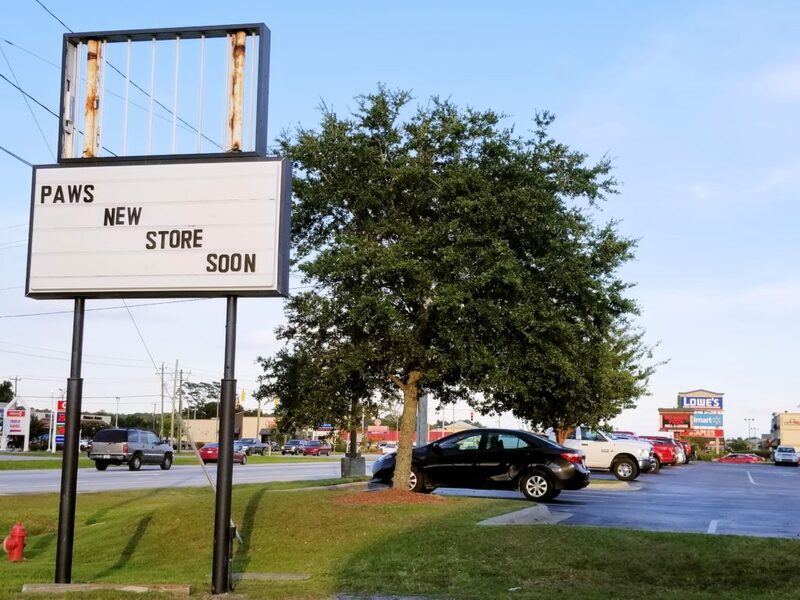 Our store location of 3010 Arendell Street in Morehead City NC is now closed! We are in the process of repairing our new location which was heavily damaged during hurricane Florence. Locals understand that everything is moving at a snails pace right now with regards to repairs. The new building ceilings, flooring, and drywall is all being replaced. We have no idea at this time when we will actually be able to re-open for business. It could take up to 10-12 weeks. The new location is 5243 Hwy. 70 Morehead City NC. This is located next door to the old Ruby Tuesdays/No Name Pizza and was previously a Verizon Cellular Sales store. We look forward to seeing you all again very soon and thank you again! This entry was posted on Saturday, November 3rd, 2018 at 8:52 pm	and is filed under Uncategorized. You can follow any responses to this entry through the RSS 2.0 feed. You can leave a response, or trackback from your own site.